Autumn is such an extravagant time. Take red peppers, which come into season in the fall. 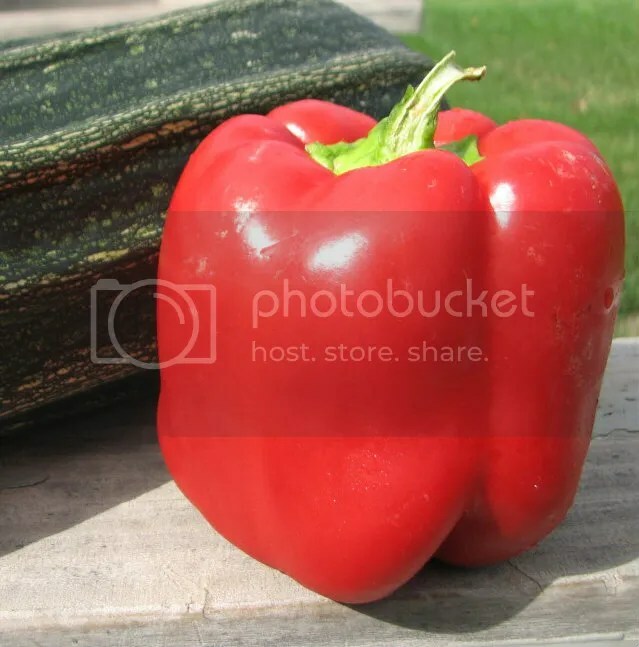 At any other time of year, organic red peppers can cost $3.50 a piece and should I buy one, it would be frugally parceled out into at least three dishes. In autumn, however, a gigantic organic pepper, as sweet as jam, costs only $1.66. My CSA gives us three or four each week. I will eat an entire pepper, much like an apple, hurrying to gulp down huge bites before winter comes and they all disappear. Part of me chides and demands a pound of guilt for engaging in such unabashed greed. Buy why feel guilty when there’s so much abundance? The word abundance brings up the term “abundance theory,” which is thrown about a lot these days. I always discounted it, as a veiled justification for accumulating more stuff. But over the last few months, I’ve come to see a more palatable side of abundance theory while watching my garden yield significant amounts of produce for the first time. Stop long enough to count and it’s clear to see that nature is wildly abundant. In May we put seeds in the ground the size of pin heads. Lo and behold, by September they’ve magically transformed into a cornucopia of carrots, tomatoes, chard, kale, eggplant, peppers and more! Maybe that’s what the abundance theory really refers to. To experience the abundance theory yourself, head to a Farmers’ Market or farm stand, right away and buy the last of the warm weather crops. Then eat them with abandon!